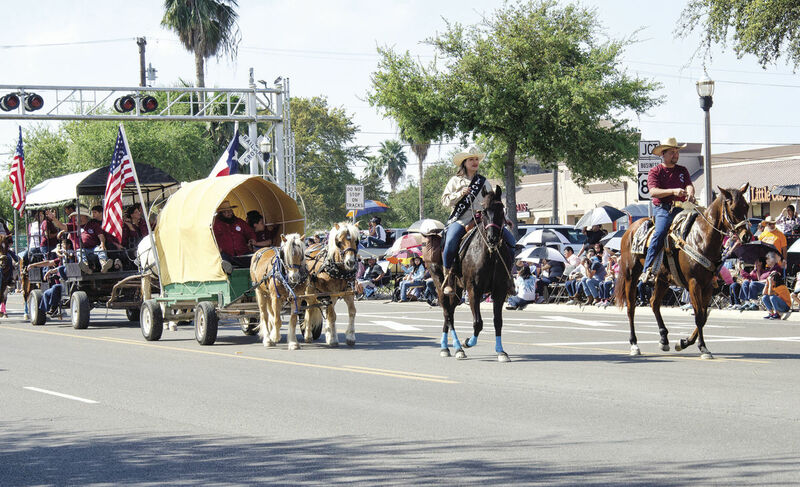 MERCEDES — Despite the expansion of the Rio Grande Valley Livestock Show and Rodeo schedule to a Thursday start, the Saturday parade for many officially marks the start of the festivities. 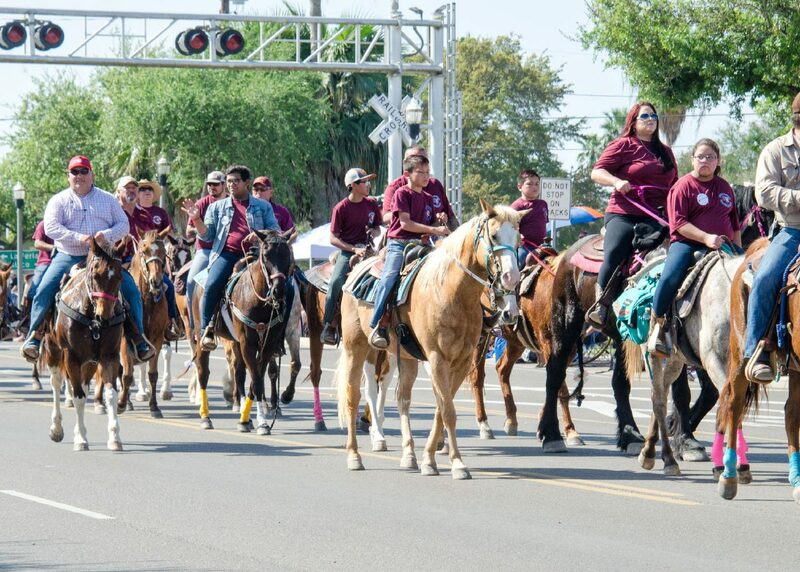 Traveling through the center of the city down Texas Avenue among the floats and bands, the parade always includes several groups of trail riders coming from different areas of the Valley. Among the trail riders every year is the Tip O’ Tex Trail Riders, the oldest trail riding nonprofit organization, this year celebrating their 58th anniversary. 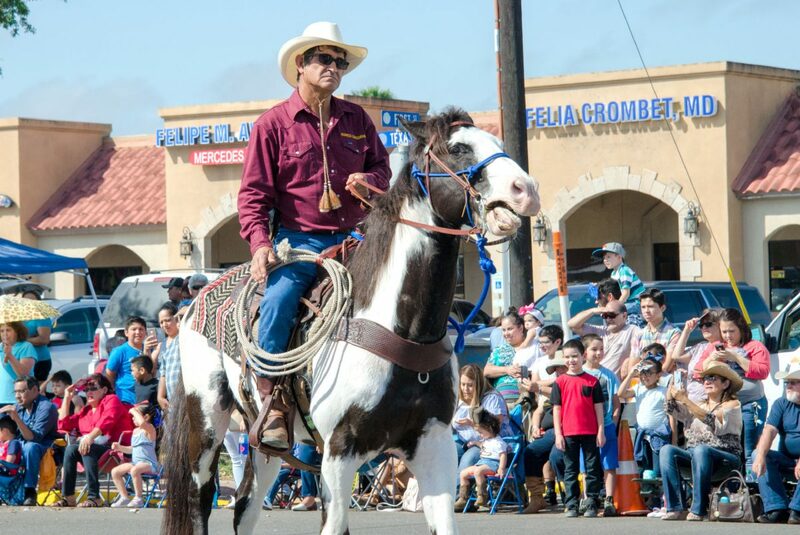 The trail riders began their journey in Port Isabel this past Tuesday with 10 horseback riders. As the week continued, more people joined in the ride as it made its way through different cities throughout the Lower Valley. By the time they arrived in Mercedes, the group had grown to 50 riders for the parade Saturday. 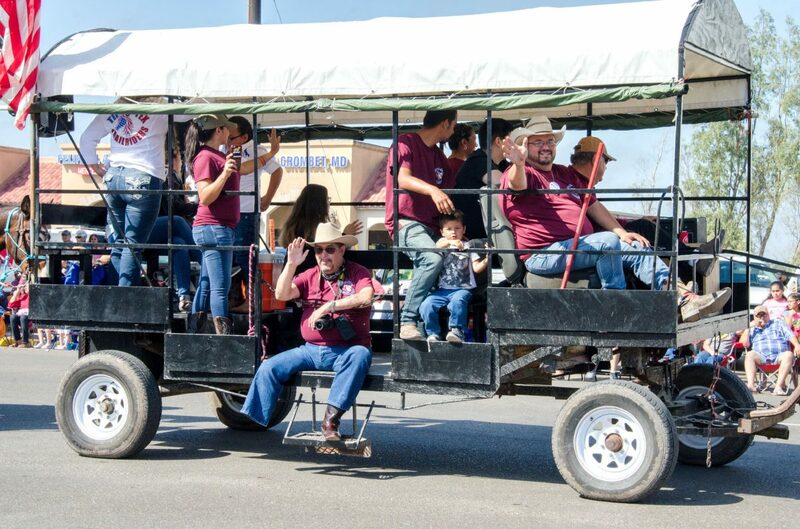 As part of the old tradition, riders from various corners of the Rio Grande Valley ride each year to the livestock show and rodeo. Although most of the original founders of the group in the 1960s have passed on, new generations continue to keep the tradition alive. 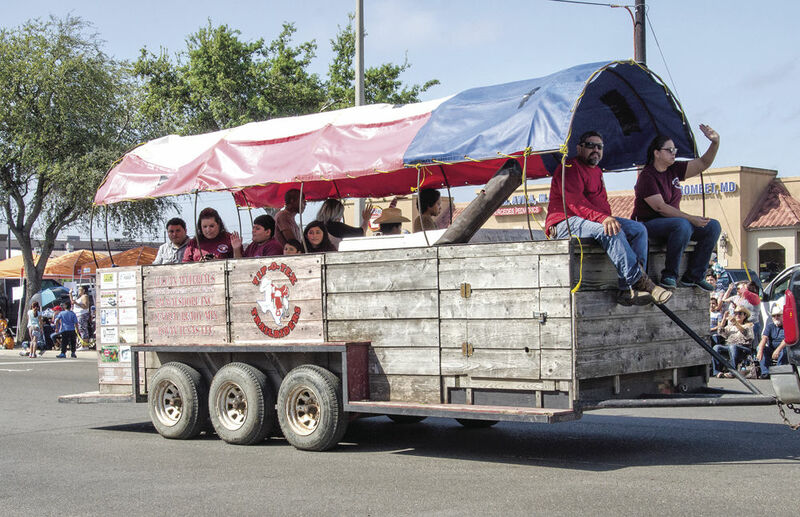 Founders Sam Esparza along with Alfonso “Fonzi” Garcia and Andy Salgado are board members from Brownsville, who work together to continue the tradition. He became involved with the group because he liked what Tip O’ Tex was all about and how they represent the Valley. He and his wife Belinda have been trail riders for more than 30 years and three generations of their family are involved in the organization. The group’s support for organizations like 4-H and the Future Farmers of America goes beyond the financial, Belinda Esparza said. 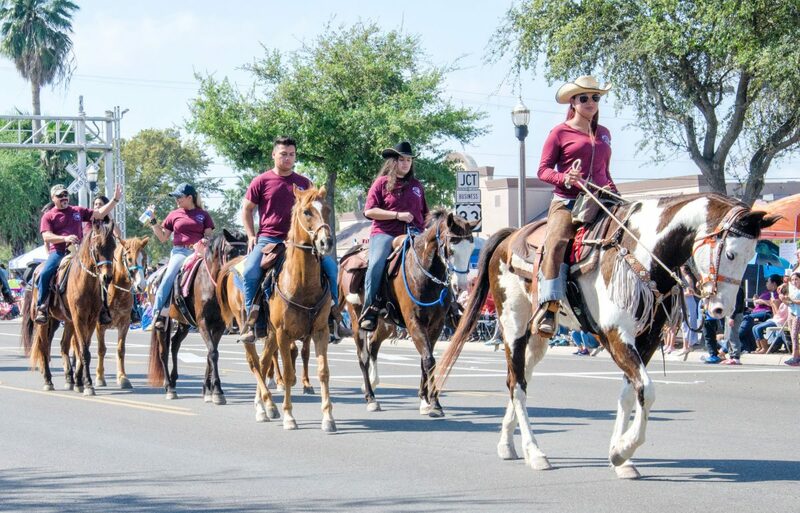 The group’s support includes donations for youth events at the Rio Grande Valley Livestock Show and Rodeo and, when possible, they provide scholarships to Valley graduating seniors. Garcia has been a trail rider for about 25 years and his children are also trail riders, as well. 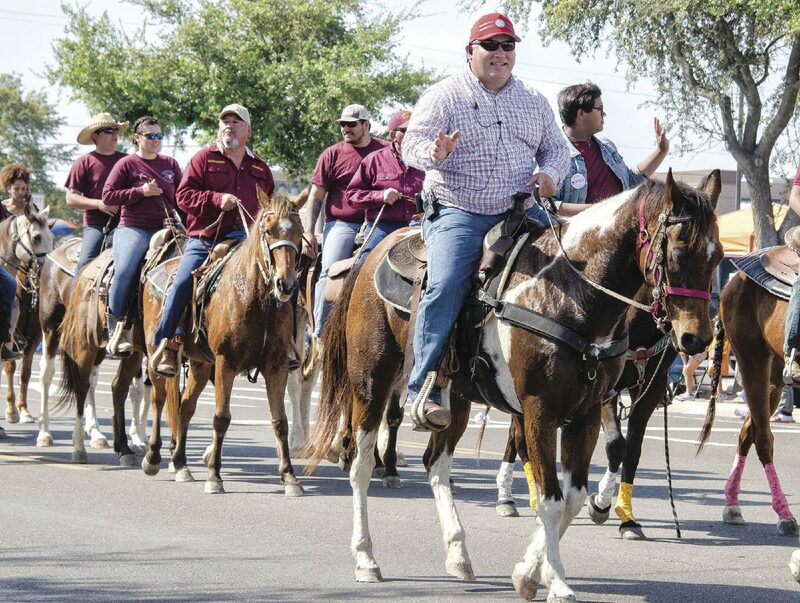 Originally, the group’s trail rides were done in two days — Port Isabel to Harlingen and Harlingen to Mercedes, Garcia said. “ Now we do it a little calmer and a little slower,” he said. Youth at 8 years old can join the trail ride and get their own horse. Some are still participating at 80 years of age. Tip O’ Tex Trail Rider Club also play a huge role at the livestock show. The group sponsors the Pig Scramble, which features small pigs being greased up with lard. Children then have to chase them and pick them up and place the pig in a pen. The fastest individual to do so wins $100. The money that the children win comes from local sponsors depending on where the riders stop for breaks during their ride. For more information or wanting to join the Tip O’ Tex Trail Riders, visit their website, www.tip-o-textrailriders.com or their Facebook page of the same name.